Zero sugar. This product is GMO free. This product is gluten free. This product is allergen free. This product is suitable for vegetarians/vegans. Coca-Cola Zero Sugar is the perfect drink for people who want all the taste of Coca?Cola, without the sugar or calories. 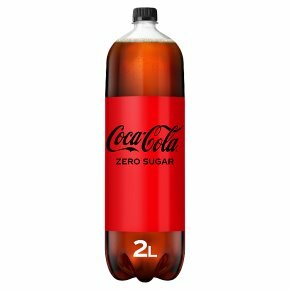 Coca-Cola Zero Sugar is a sugar free, low calorie soft drink with the great taste of original Coca-Cola. Zero sugar Zero Calories Contains vegetable extracts and sweeteners Gluten-free, dairy-free and nut-free Serve ice cold for maximum refreshment. Contains 8 X 250ml servings. Keep one cold in the fridge Please recycle.